The domain name is your business address on the Internet. At the basic level, the Internet’s location system is based on the IP (Internet Protocol) address. This is a unique string of 4 numbers separated by periods (ex. 65.102.0.21). Since it’s impractical for most people to remember numbers to go to their favorite websites, scientists created the domain system to assign a unique name to each IP address. Having a domain name that matches your brand or business name adds credibility and trust to your business. Compare the web address of your business site if you publish it through a free web service vs. owning your domain name: www.freewebservice/yourbrand vs. www.yourbrand. You need to earn the trust of people online. If you’re not willing to pay for and register your own domain name, why would visitors think you’re brand is trustworthy? If you’re in a highly competitive industry, you may opt to have a domain name that includes your niche, specialization, or business concept added to your brand. It can help you attract the type of audience that closely resembles your customer profile. The type of people who would likely purchase or avail of your products and services. For example, a restaurant specializing in gourmet dishes can get a domain name of cafebrandgourmet.com or bistrobrandgourmet or something similar. A person online looking to dine at a restaurant with this type of dish in mind would likely be attracted to your domain name. While search engine results are hard to predict, your brand could show up more frequently when someone looks for info about gourmet restaurants. 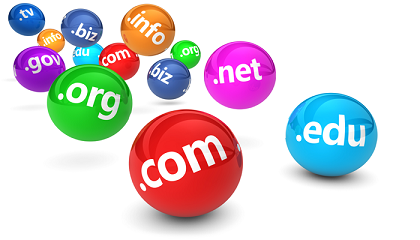 Owning your domain name indicates you’re up-to-date with emerging digital technologies. 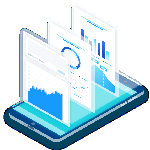 Even if that’s true only in the sense that you’re aware of new technology (such as mobile marketing), having your own domain name implies you’re paying attention to the future of your business. Something many of your competitors may not project with your target market. Bottom line, your domain name may be just as important as your registered business name with the SEC. It builds trust and awareness for your brand that ultimately results in more customers and expands your market reach. Avail of a free consultation to learn the costs and resources to fully profit from online marketing. We respect your privacy and we do not share your contact details.